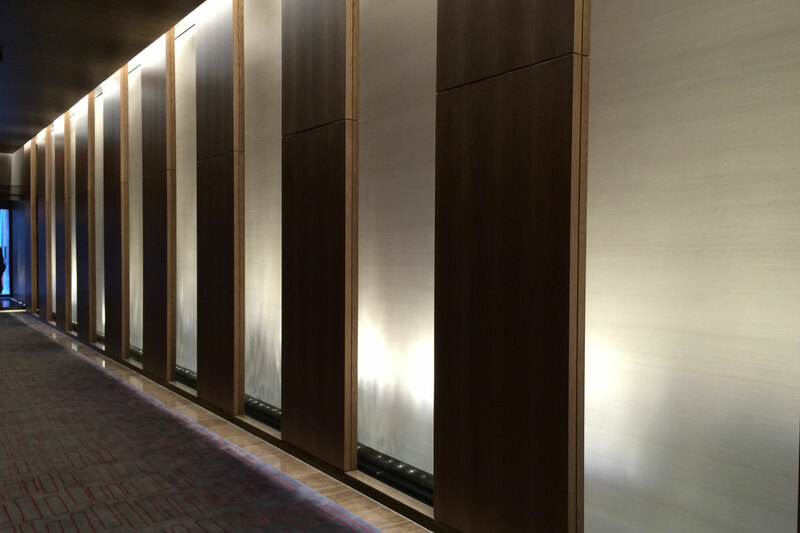 The waterwall panels line one side of the lobby in One Madison. 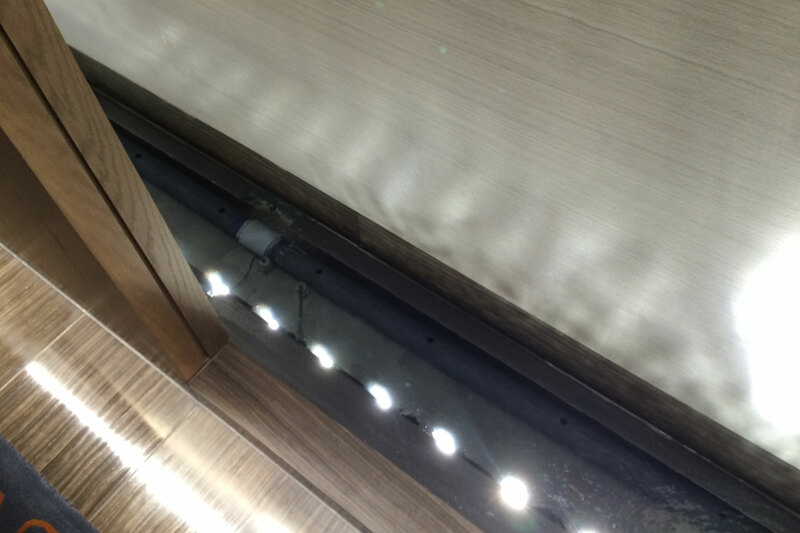 The waterwall is illuminated from submersible linear LEDs in the bottom of the trough. One Madison is a contemporary high-rise in New York City. 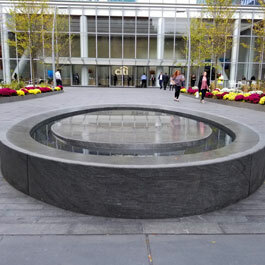 The 60-story building, which offers 360-degree views, greets visitors with one of the most tranquil entranceways in the city. 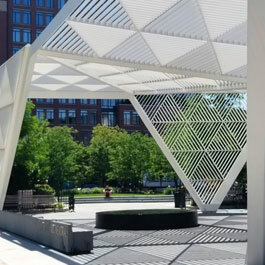 The building design is a collaborative among several firms. 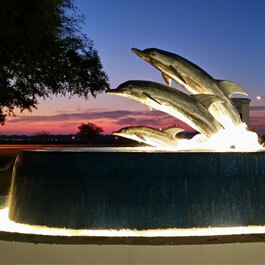 Residents are welcomed in with an open lobby featuring a 62-foot long water feature. 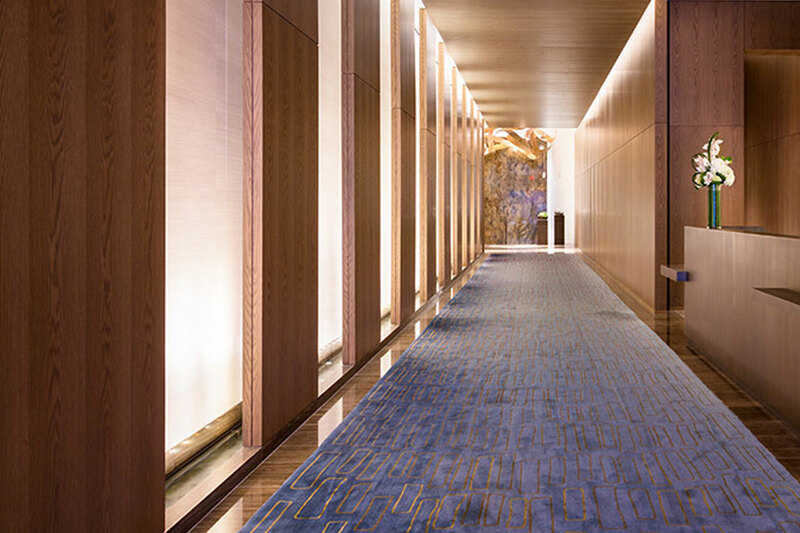 Delta Fountains engineered the waterwall to become turbulent over linear lighting in order to give movement to the One Madison lobby. The at-grade feature runs water in troughs along the base of the wall. 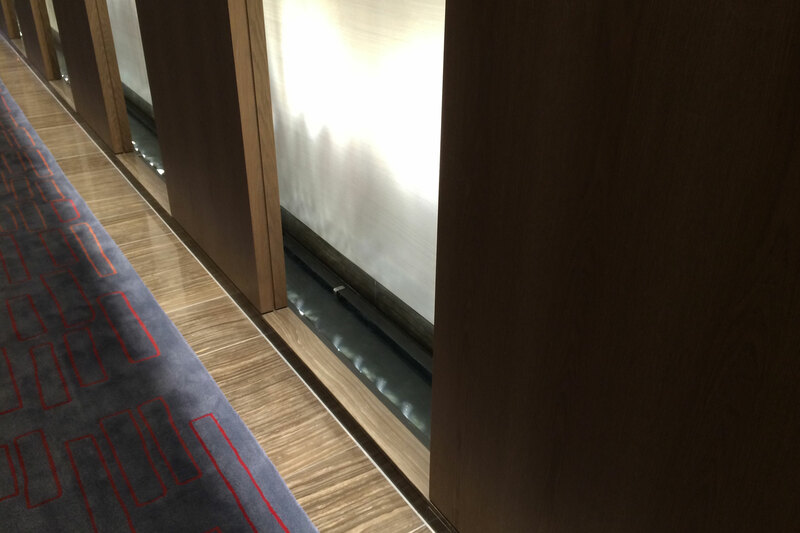 The lighting reflects the movement of the water above it to create a moving shadow effect on the wall. 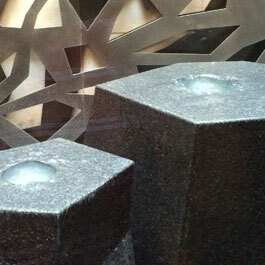 The designers wanted to make the building its own work of art to compliment the many pieces throughout the building.